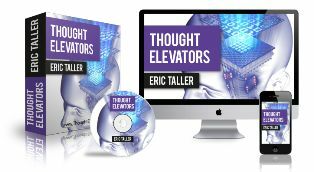 Before you start reading information about Thought Elevators system for success, I would like to give a couple advises, which can help you to become much more successful and happier person than you are now. Soul is energy; only improving your energy will push your soul to work with more power. Our feelings – feedback mechanism and it is showing are we on the „right direction“ or not. True success is coming when you turn your face away from things that you do not want and concentrate on your goals. Conditionally, all our goals can be divided into: “I want it because it is mine and it is part of me and arises from my sense” and “I want to avoid something terrible and horrible or I do not want to have any troubles”. In other words, we are talking about two strategies – achieving a success and avoiding a failure. Fight in ourselves and natural right to be happy and successful – give strength; fear is leaving us without power and energy, but sometimes it gives strength too and in same time leaving us without “taste of life”! No matter on your goal, you need to dig deeper and see what lies at its core. The biggest “pest” in life of adult human is words “should or must”. As soon as this words appearing, in mind or out laud, we are leaving ourselves and others the biggest part of our potential, energy, creativity, vitality and enjoying in life; we voluntarily become hostages of words “should or must”. “Adult and serious” people cannot imagine life without words “should and must”. At the same time we continue to live with the values that have come from the childhood – “What is good and what is bad.” You can spend a lot of time “plucking up weaknesses and fighting with yourself” while it is enough to remember – “simple as ABC”. Barring yourself to do something or pasting the label “this is bad” gives a huge potential for the growth of so-called disadvantages. So human deviates from the basic goals and deprives them of time and energy, which human spends to fight with yourself. Is it possible or impossible to defeat yourself? Sure, it is possible but in that case it will not be the person himself but his “pale likeness” – exhausted, deprived of vitality. Allow yourself to do what you want. Firstly you need to see that this goal is available and secondly it is not so necessary for you to achieve that. For example a person constantly holding back his anger, but from where is this excessive need for aggression? The desire to suppress the other arises from the persistent need to protect ourselves; therefore this is what is most lacking to this person. Instead of aggressively rushing to the other person and thereby expose ourselves to additional danger or blame them for anger all you need to do – is to take action in order to feel secure. The main thing is to believe in yourself and think about your capabilities, all that is producing confidence. One of the main secrets of happiness – is to do what you want. Of course, not all desires are achievable literally, but once established, they are having a very good reason and that reason will increase, especially if person does not allow himself to do that. I want to say that the system Thought Elevators has changed me that much that in my life now present only bright colors. Same I wish to all of you! Download the program right now! Thank you.